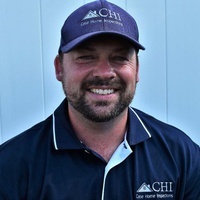 My name is Christopher Case and I am the owner of Case Home Inspections. I provide Home Inspections, Radon Testing, and more. I have been in the Construction Field for nearly 20 years. I was a licensed electrician for 11 years, a plumber for 3 years for a local plumbing company, a commercial construction mechanic, and a residential home builder. I have taken the years of experience and applied it to my business to offer my clients and realtors the best possible experience during the home inspection process. Let me continue the relationship you started with your clients.